Its Back to School time and nothing beats FREE school supplies. Right now, you too can score FREE Elmer's Glue Sticks at Walmart. The Elmer's Glue Stick 2-packs are marked at $.50 at Walmart. 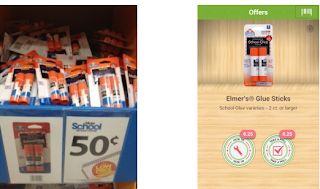 You can use the $.50 Ibotta Elmer's Glue Savings and score 2 FREE Glue Sticks.